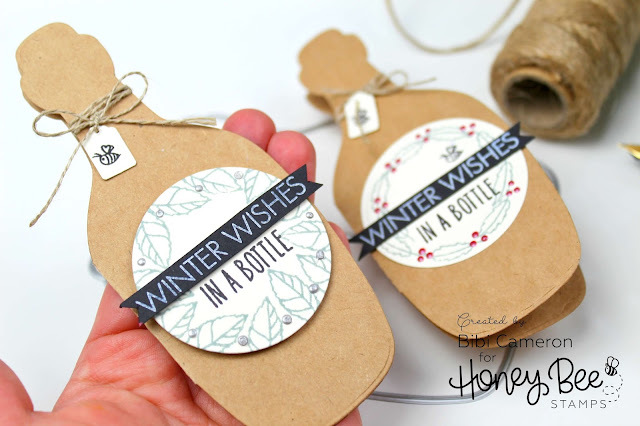 Hello everyone, today I'm sharing a quick post with lots of pictures of super easy Christmas wine tags made using Bottle Card| Honey Cuts. 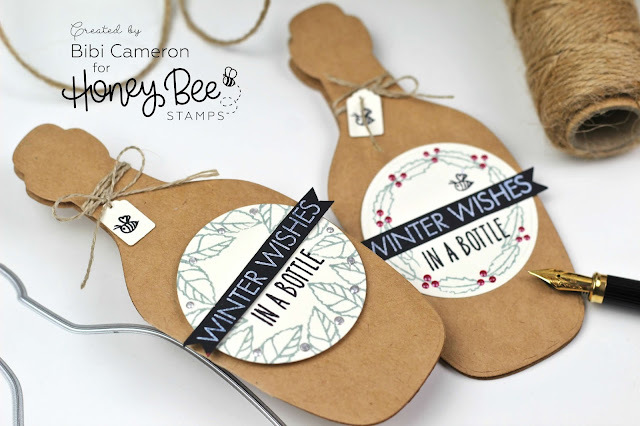 I also use the little leaves stamp from Sweet as Honey Stamp set to stamp the circular topper on the front of the tag, and I mixed and matched sentiments from Message in a bottle and Snow Birds Stamps sets to stamp the greeting. 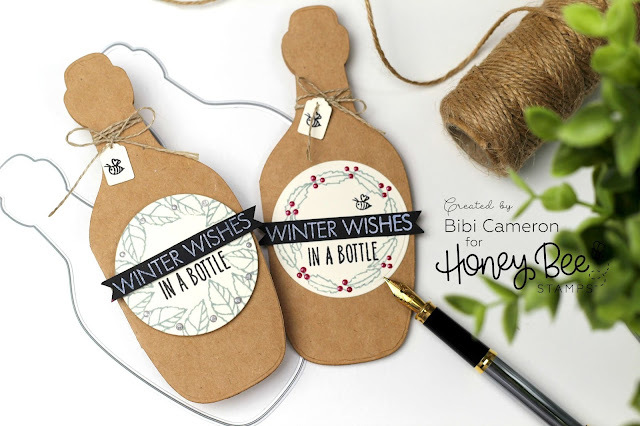 The Bottle Card die will fit standard die cutting machine and it coordinates with our Message In A Bottle stamp set and Message In A Bottle die set to create an awesome shaker card! They will make lovely miny gift cards or note cards and you can customize them for any occasion. Today I just used 3 different cardstock types: kraft, cream, and thick black cardstock. 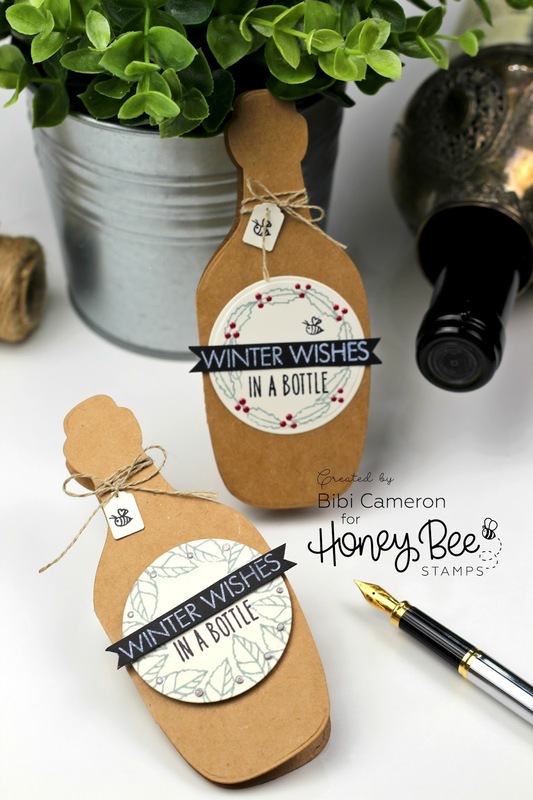 I stamped the black banner with white pigment ink using a Tim Holtz Platform to multi stamp the sentiment 3 times. 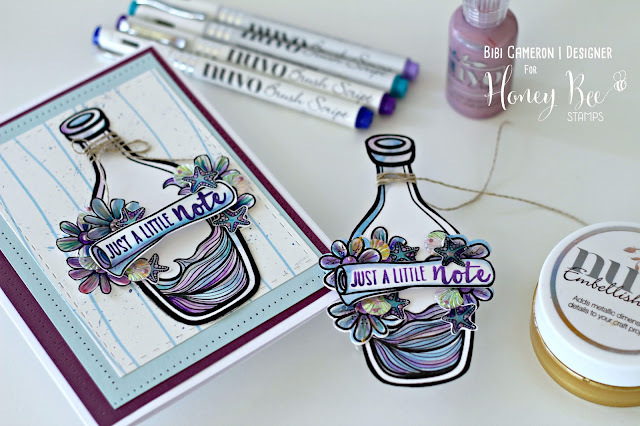 I stamped "in a bottle" using Simon Says Stamp black ink. I embellished with Linen Thread and Nuvo Drops. That's all! 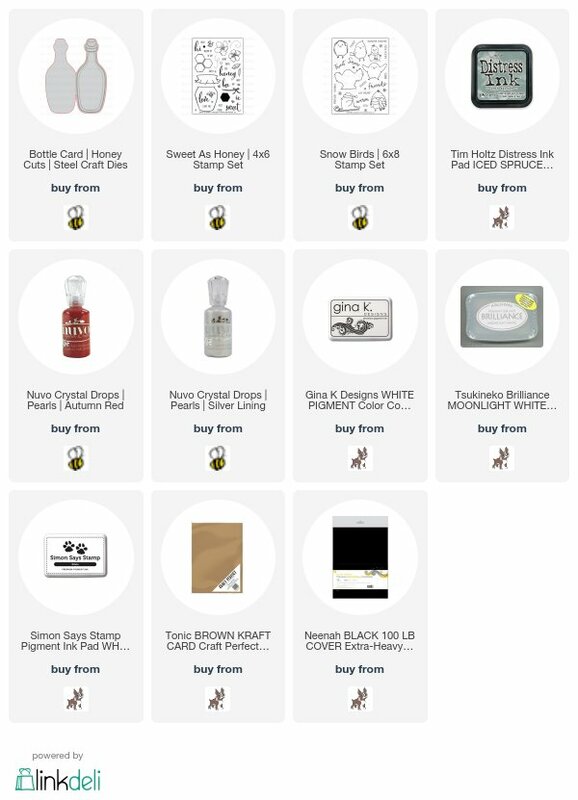 I hope you like this simple and easy project. 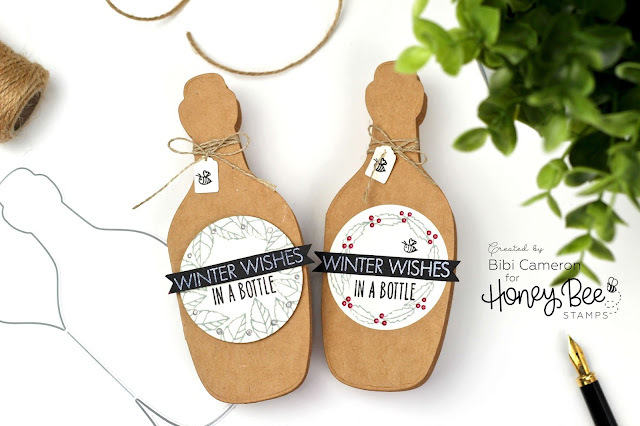 Check out a similar project here! Thanks for stopping by and do not forget to Subscribe to my blog here! or to my Youtube Channel Here to get my latest blog post directly in your inbox.